PROFORM STATS ANALYSIS: Our PROFORM stats identify the key statistical positives and negatives for racing on Wednesday. Nottingham 1-30: Callum Shepherd has rode close to double his expected winners at Nottingham, Dubai Instinct is 50.0! Nottingham 2-00: Sean Levey has an impressive 21% strike rate with his rides at Nottingham, his mount Typhoon Ten is 11.0. Nottingham 3-35: Michael Appleby and Silvestre De Sousa have a healthy 21% strike rate together, Glory Of Paris is 22.0. 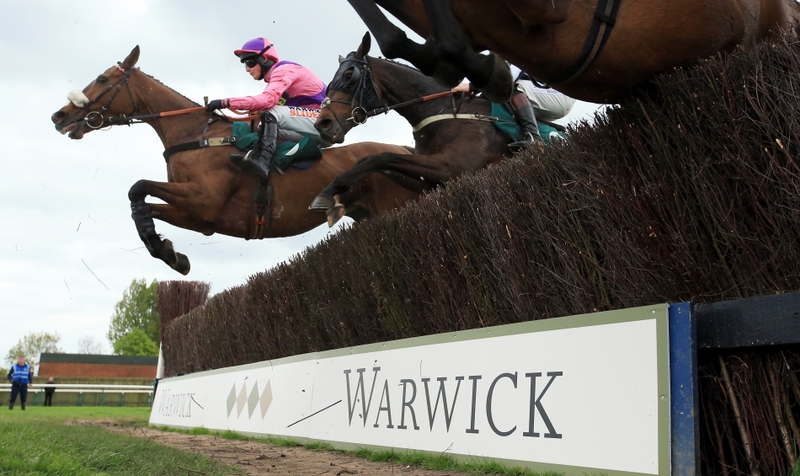 Warwick 2-10: Nico de Boinville has an impressive 32% strike rate over hurdles at Warwick, he rides Fifth Symphony at 7.4. Warwick 3-15: Harry Whittington and Gavin Sheehan have an impressive 25% strike rate together, Honourmission is 50.0! Lingfield 2-20: Martin Bosley has had more than double his expected winners at Lingfield, he saddles Helfire at 4.8. Lingfield 3-55: Michael Appleby and Mark Crehan have an impressive 27% strike rate together, It Must Be Faith is 9.4. Kempton 5-10: Malcolm Saunders has had more than three times his expected winners at Kempton, he saddles Scarlet Red at 100.0! Kempton 6-45: Tim Clark has had close to double his expected winners at Kempton, he saddles Mime Dance at 30.0. Nottingham 2-00: Shane Kelly has had less than half of his expected winners at Nottingham, he rides Pink Iceburg at 8.6. Warwick 3-45: Fergal O’Brien has saddled less than half of his expected winners over fences at Warwick, Cuddles McGraw is 4.1. Warwick 4-20: Ben Case has saddled less than half of his expected winners over hurdles at Warwick, Kilbrew Boy is 19.0. Warwick 4-50: Jack Quinlan has rode less than half of his expected winners over fences at Warwick, Oneida Tribe is 12.0. Lingfield 2-50: Mike Murphy is quite close to having half of his expected winners at Lingfield, he saddles Garth Rockett at 4.6. Lingfield 4-30: Michael Blanshard has had half of his expected winners at Lingfield, he saddles Vino Rosso at 50.0. Kempton 4-35: Dr Jon Scargill has saddled less than one third of his expected winners at Kempton, Militry Decoration is 8.8. Kempton 6-45: Charlie Bennett has had less than half of his expected winners at Kempton, he rides Far Cry at 14.5. BETDAQ BACK of the day on stats: FIFTH SYMPHONY 2-10 Warwick, at around 7.4. BETDAQ LAY of the day on stats: CUDDLES MCGRAW 3-45 Warwick, at around 4.1.